Is Berkshire Hills Bancorp, Inc. (NYSE:BHLB) a good stock to buy now? The best stock pickers are getting more optimistic. The number of bullish hedge fund bets inched up by 1 lately. In today’s marketplace, there are dozens of gauges investors can use to watch their holdings. A pair of the best are hedge fund and insider trading interest. At Insider Monkey, our research analyses have shown that, historically, those who follow the top picks of the elite money managers can beat the broader indices by a healthy amount (see just how much). Just as integral, bullish insider trading sentiment is another way to break down the investments you’re interested in. Just as you’d expect, there are many reasons for a corporate insider to get rid of shares of his or her company, but only one, very clear reason why they would initiate a purchase. Several academic studies have demonstrated the impressive potential of this tactic if “monkeys” understand what to do (learn more here). Keeping this in mind, we’re going to take a look at the latest action encompassing Berkshire Hills Bancorp, Inc. (NYSE:BHLB). How have hedgies been trading Berkshire Hills Bancorp, Inc. (NYSE:BHLB)? At year’s end, a total of 6 of the hedge funds we track were long in this stock, a change of 20% from one quarter earlier. With hedge funds’ capital changing hands, there exists an “upper tier” of noteworthy hedge fund managers who were boosting their holdings considerably. 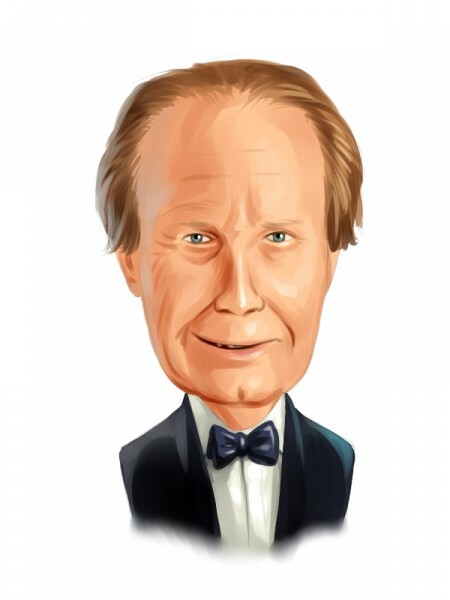 According to our comprehensive database, Chuck Royce’s Royce & Associates had the biggest position in Berkshire Hills Bancorp, Inc. (NYSE:BHLB), worth close to $25.4 million, accounting for 0.1% of its total 13F portfolio. Coming in second is Bryn Mawr Capital, managed by Ken Gray and Steve Walsh, which held a $14 million position; the fund has 1.2% of its 13F portfolio invested in the stock. Remaining peers that hold long positions include Lisa Rapuano’s Lane Five Capital, Jim Simons’s Renaissance Technologies and D. E. Shaw’s D E Shaw. As aggregate interest increased, specific money managers were breaking ground themselves. D E Shaw, managed by D. E. Shaw, established the most outsized position in Berkshire Hills Bancorp, Inc. (NYSE:BHLB). D E Shaw had 0.3 million invested in the company at the end of the quarter. Ken Griffin’s Citadel Investment Group also initiated a $0.3 million position during the quarter. How have insiders been trading Berkshire Hills Bancorp, Inc. (NYSE:BHLB)? Insider trading activity, especially when it’s bullish, is best served when the company in focus has experienced transactions within the past six months. Over the latest 180-day time frame, Berkshire Hills Bancorp, Inc. (NYSE:BHLB) has seen 1 unique insiders purchasing, and 2 insider sales (see the details of insider trades here). Let’s check out hedge fund and insider activity in other stocks similar to Berkshire Hills Bancorp, Inc. (NYSE:BHLB). These stocks are Flushing Financial Corporation (NASDAQ:FFIC), Flagstar Bancorp Inc (NYSE:FBC), Kearny Financial Corp. (NASDAQ:KRNY), Banner Corporation (NASDAQ:BANR), and Brookline Bancorp, Inc. (NASDAQ:BRKL). This group of stocks are the members of the savings & loans industry and their market caps match BHLB’s market cap. Globecomm Systems, Inc. (GCOM): Hedge Funds and Insiders Are Bearish, What... Hedge Funds Aren’t Crazy About SYNNEX Corporation (SNX) Anymore Sigma Designs Inc (SIGM): Hedge Funds and Insiders Are Bearish, What Should... Trueblue Inc (TBI): Insiders Aren’t Crazy About It Hedge Funds Aren’t Crazy About Silicon Motion Technology Corp. (ADR) (... Is Ultra Clean Holdings Inc (UCTT) Going to Burn These Hedge Funds?